Kingsdale Foundation School celebrated the World Day for Cultural Diversity on Sunday, 21st May 2017 through a vibrant cultural festival. 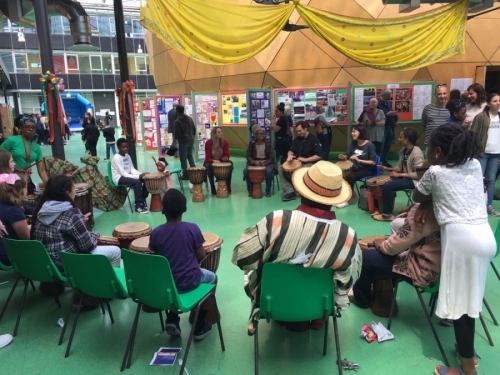 The Kingsdale Family International Culture Day was a flamboyant display of music, dances, arts, crafts, cuisine, costumes and sports from countries across the world and was a real treat for those involved. The event raised funds for the charity ‘Mind’ that provides services to support mental well-being. 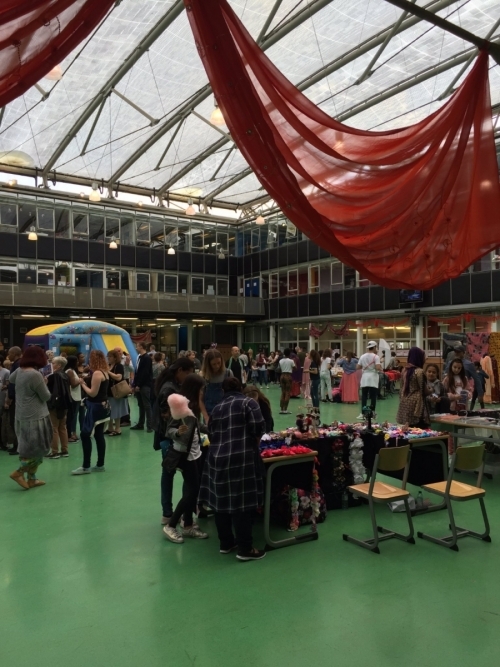 The festival was proudly hosted by the Culture Day Committee, which included students from both Upper and Lower School contributing to the organisation of this scintillating day. The multicultural feast was the highlight of the day with contribution of gourmet style cooking from parents, students and staff representing a wide array of cuisines- Greek, Palestinian, Caribbean, Algerian, Mexican, Indian, Chinese, Italian, Turkish- to name a few! 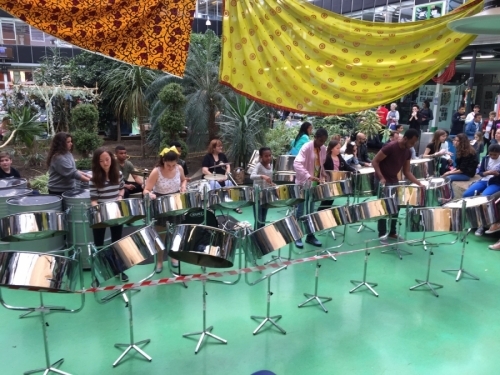 The steel band performances in Trininad & Tabago style enthralled the audience, whilst the African drumming workshops engaged the community in developing a rhythmic talent. 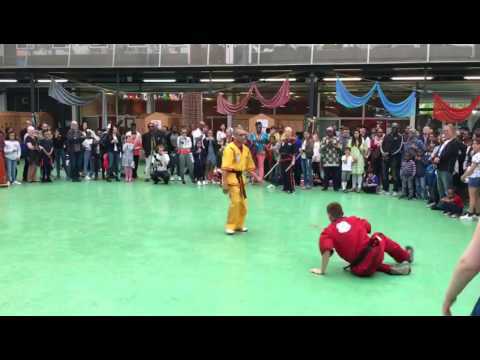 The Martial Arts performance captivated a wide audience with extraordinary skills demonstrated by the British Guba Doce Pares Master Nimesh Desai, 8th degree black belt, highest ranked in the UK. The Kingsdale dancers added further radiance to the day with the Bollywood and African dances that were beautifully synchronised and were a real pleasure to the senses. The festival was also an opportunity to appreciate the exotic arts and crafts from around the world- handmade jewellery with every piece made out of potter’s clay, hair accessories, henna hand art, knitwear for children, horticultural stalls, beauty products from Morocco and then an opportunity to speak in patois and write in the Chinese script- all of which contributed to an exuberant experience! The dress code was to come adorned in a cultural costume and the visitors brought a real zing to the event by making an extra effort. For those who desired to try a costume from another country, we offered our very own fashion boutique to the visitors to choose a costume from and get their picture clicked wearing this exclusive cultural costume at the Kingsdale photostudio , which was created by the school’s Art Department. Several visitors tried tying the 6- yard long Indian saree and made an elegant statement! The younger audience also had a plenty of activities to keep themselves entertained- Jump and Ladder bouncy castle and the Minion bouncy castle kept them occupied along with an exciting range of party treats like cupcakes, candy floss, ice creams, slush and popcorns! 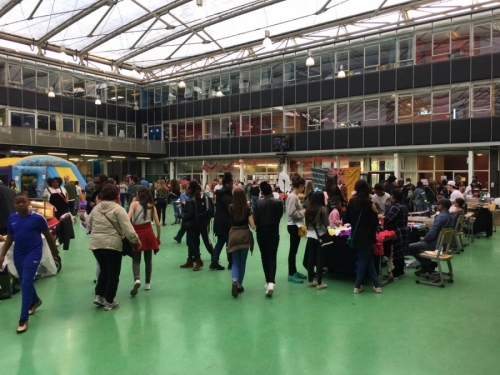 There were fun and entertainment interactive games led by the House Captains whilst the ‘Science Culture’ and the ‘Literature from around the world’ stalls continued to intellectually stimulate the audience with plenty to feed the brain. The day was an absolute joy and it magnificently brought the community together in a mutual appreciation of the colour and beauty that cultural diversity adds to our lives. 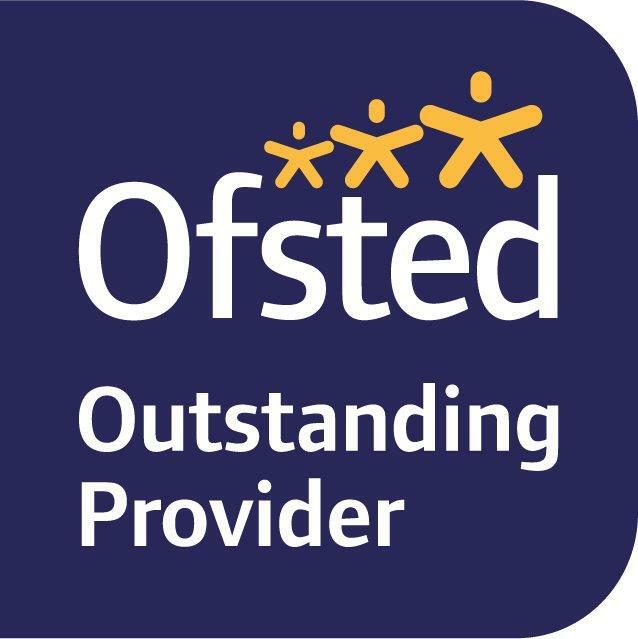 To everyone involved, a big thank you from Kingsdale Foundation School for such a successful endeavour!